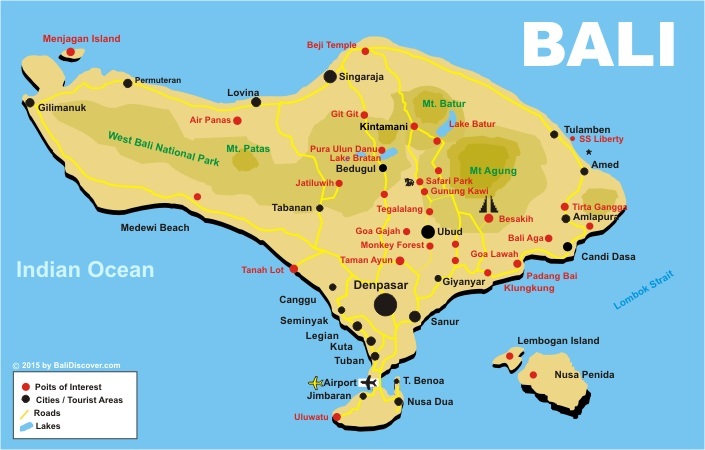 Use the form below to contact tour Bali by Quad - Real Bali Tours directly. 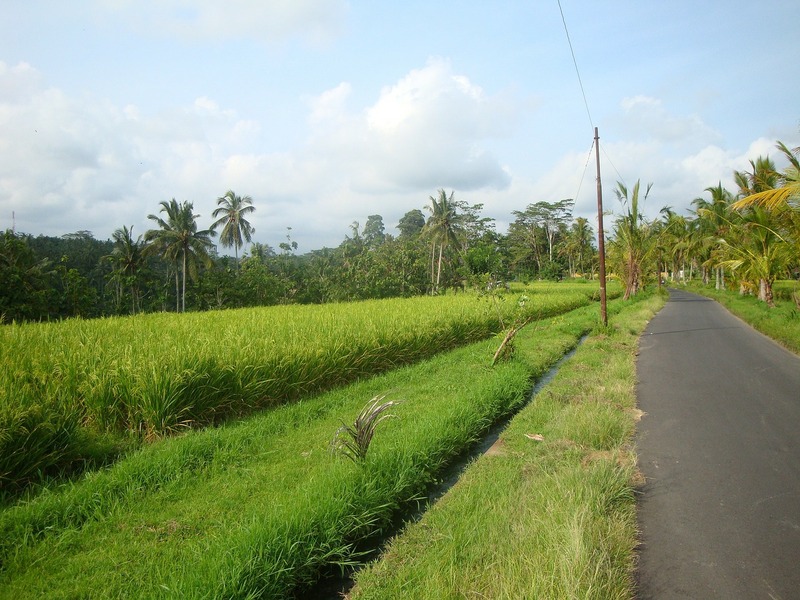 You will cross magnificent panoramas, will go up and down one of the most beautiful part of rice fields terraces in Bali, will pass in the Balinese jungle, will drive in a river, but also stop to private hot water sources and meet local farmers. Alone on your quad, or with your beloved one on the back, it’s up to you ! Recognized as the most beautiful Quad activity of the Island of the Gods, it will also be one of the best souvenir you will bring back home. 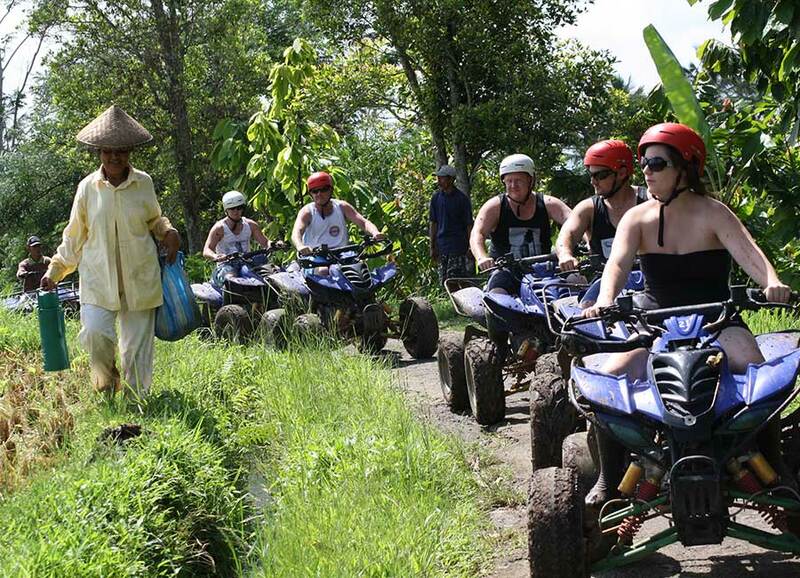 You can combine this awesome adventure with other options, quite exclusive, if you want it, and appreciate Balinese specialities in a famous restaurant with fantastic view on the rice fields…Welcome in the real Bali ! Welcome drink, local guide, fantastic natural hot water spring and free Bali Coffee during Tour in Piling, shoes boot to drive, helmet, rain coat, insurance coverage, cool water shower from source at the end, towel, natural soap, Free lunch at famous Anouk’s Rice Terrace Restaurant. Drive a quad and live an awesome adventure, alone, with someone in the back, in a group or in family ! Quads are full automatic and of a childish simplicity to be driven. An unforgettable way to discover the most beautiful rice fields of the world. If you have a sports temperament, or if you like simply the original way to discover a country, this is really made for you. In those rice fields terraces, sport is just next the beauty of the nature. 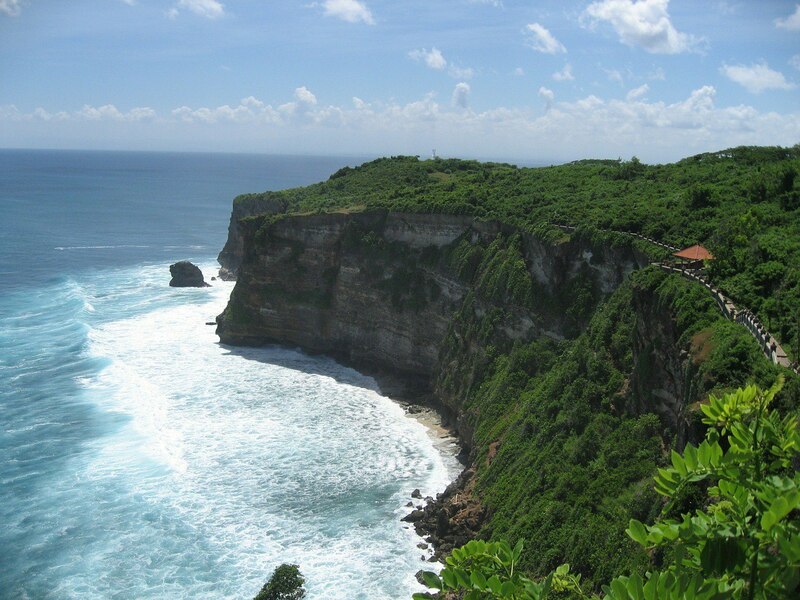 Join us to have a walk in the charming Bali Butterfly Park. Peace and beauty will be there. The Bali Butterfly Park Bali is really charming. After your adventure, do not hesitate to add this moment of relaxation in this nice little Park. In this park, where the Balinese people bring daily cocoons and caterpillars, you will see all the butterflies endemic varieties of the Island. Furthermore, the children leave there with an unforgettable memories. Butterflies with incredible colors and sometimes as big as the hand, fly freely and come to settle on you. Discover the Island thanks to a full day rickshaw adventure. 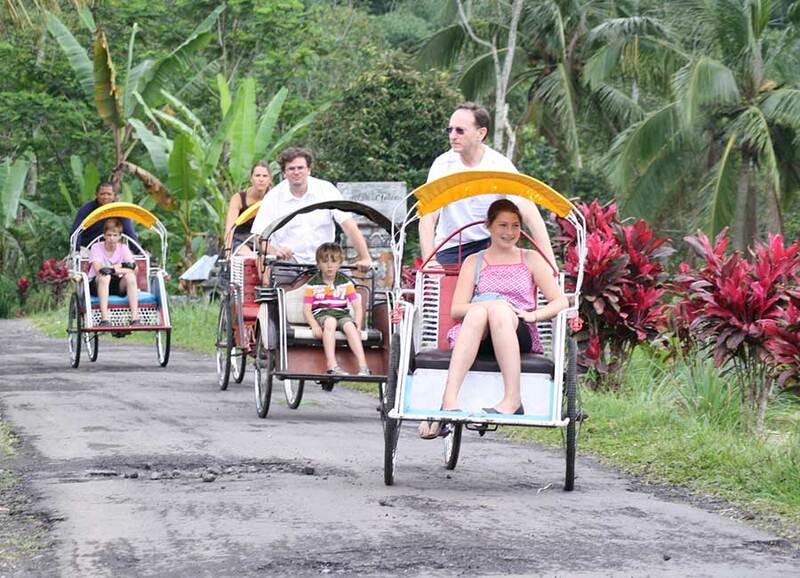 This rickshaw program is an unique experience in Bali and in all Indonesia. Live a whole day of adventure in the biggest panorama of rice fields of the Island of the Gods : Jatiluwih, classified in the Heritage of Unesco. 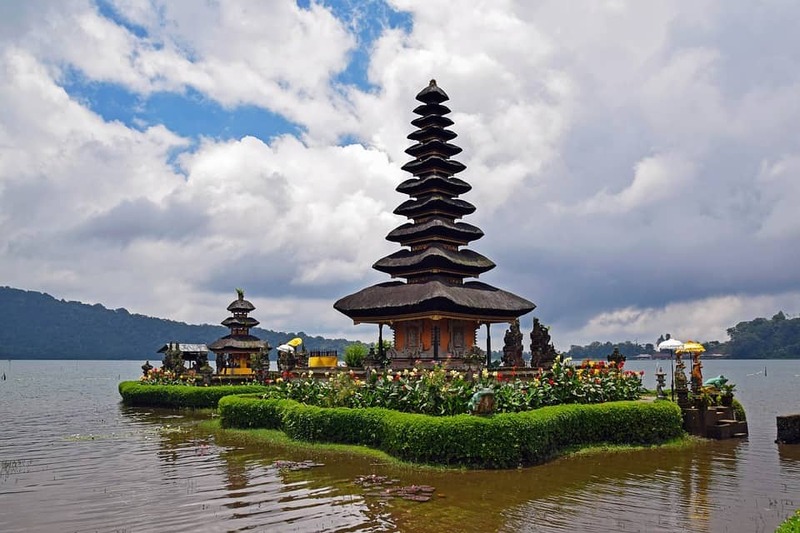 The first part is a quiet hiking-promenade in the famous Jatiluwih area and, after it, with your rickshaw, you will go downhill and cross small typical villages. 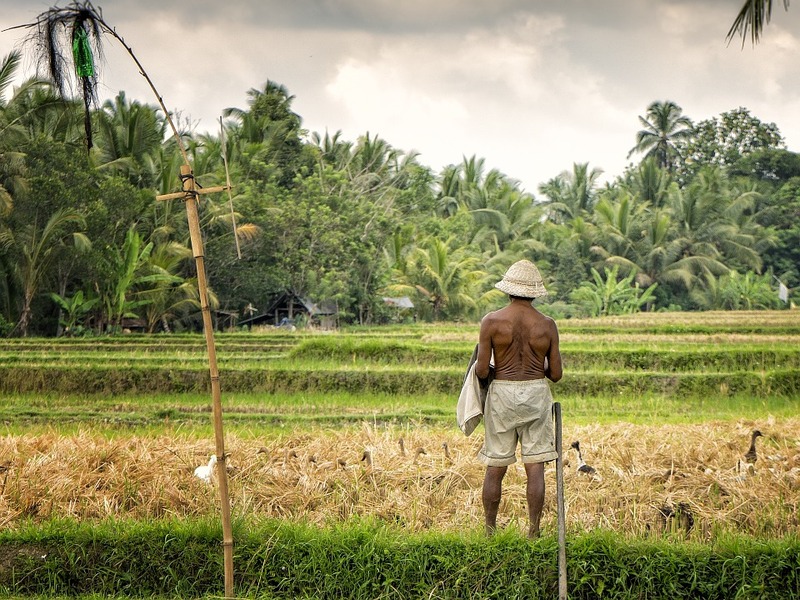 Stop for a Bali offering lesson with a lovely grandma, and after the balinese lunch in front of the rice fields terraces, you will meet the local farmer and work with him for a while. 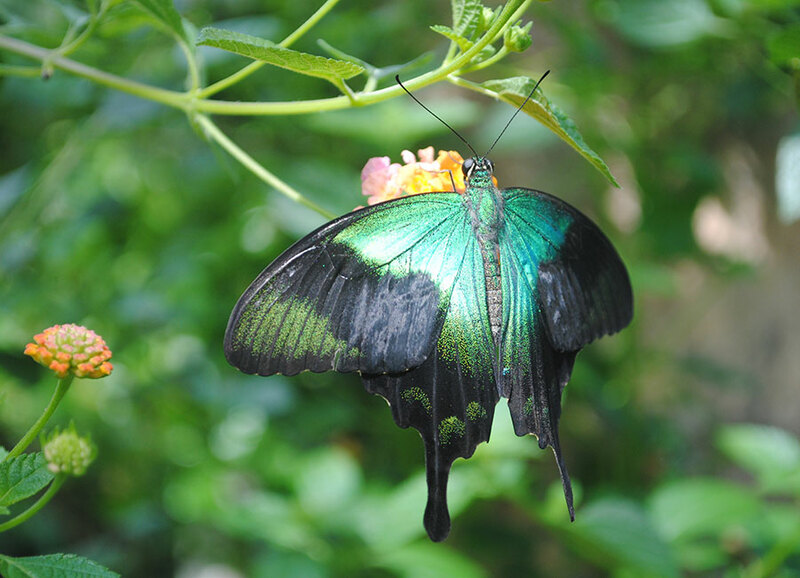 To end this exclusive program : visit to the Bali Butterfly park on the way back to your hotel ! Share an intense and rare moment with the local farmer. You have the choice, according to the size of your group or family, your personal desires or your passion of the adventure, among many different and lovely Tours. Everything is possible and you can combine it as you want. Wonderful choice. 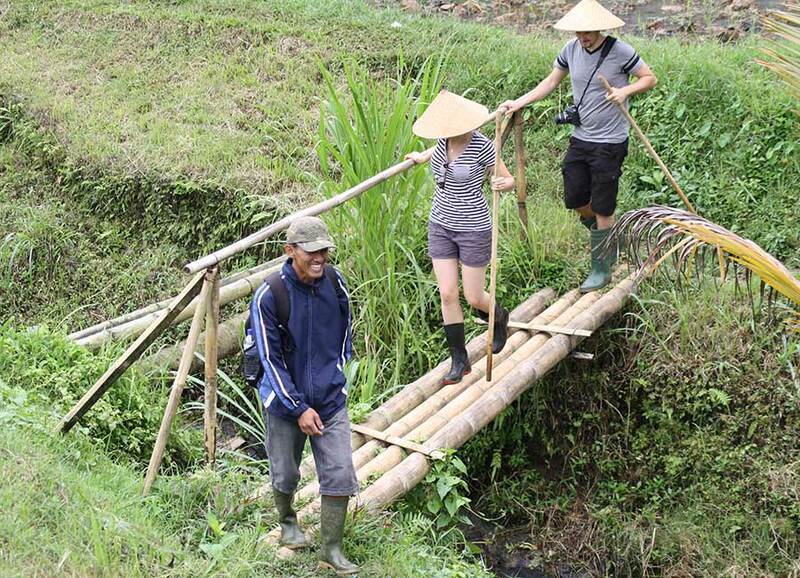 After quad tour (2 hours) and free lunch at Anouk’s Rice Terrace Restaurant, you work with the farmer in the field. 3. 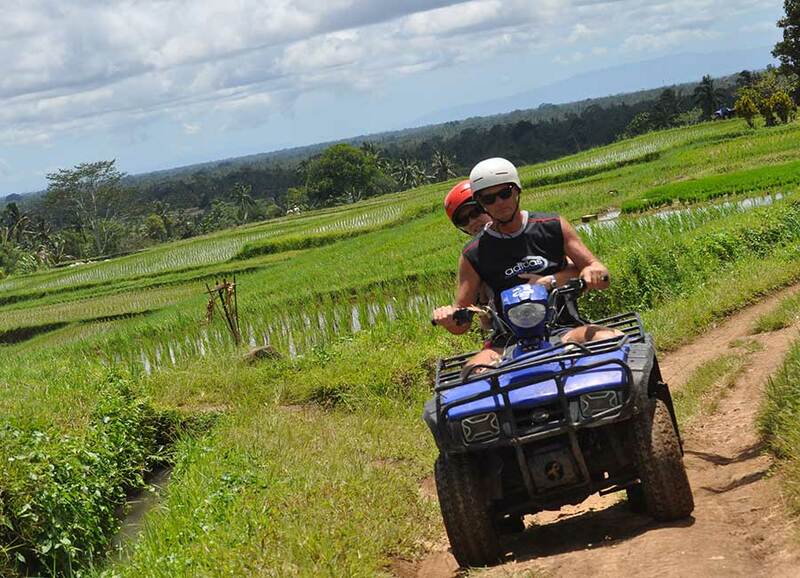 RICEFIELDS QUAD TOUR + BALI BUTTERFLY PARK. 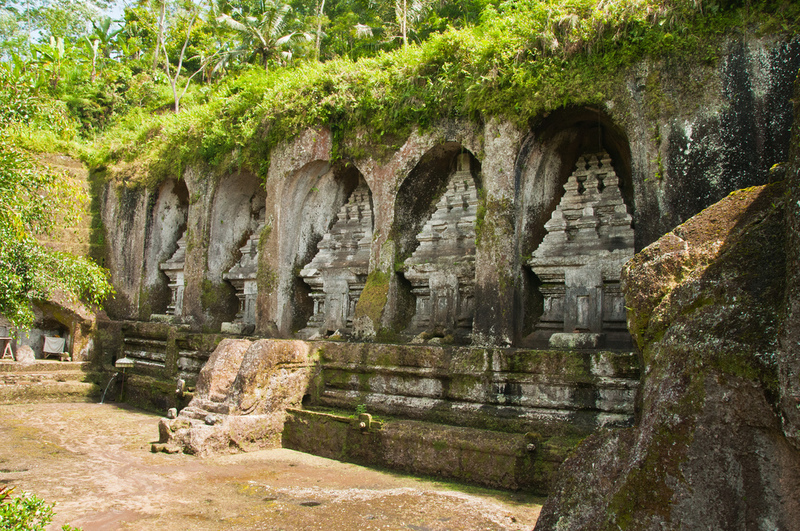 The real Bali belongs to you with that royal combination tour for families. The rickshaw downhill adventure begins then for an endless pleasure. You go down all the mountain since the heights of Jatiluwih, by driving your own “becak” (rickshaw in Indonesian) or by being quietly driven by a guide. 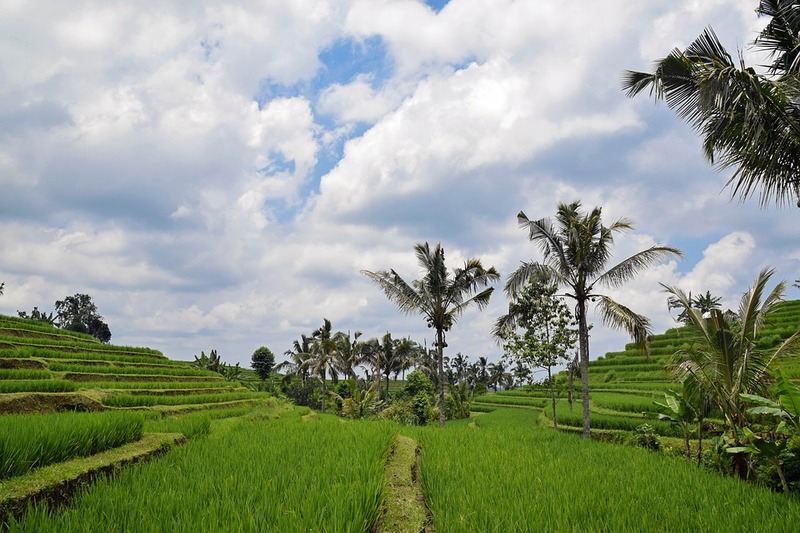 Follows a delicious Balinese meal, sat in front of rice fields terraces, in the famous Anouk’s Rice Terrace Restaurant. Complete Rickshaw adventure. After lunch, farmer work and Butterfly Park. The real Top. Inclusive a delicious Balinese luch meal, sat in front of rice fields terraces, in the famous Anouk’s Rice Terrace Restaurant. 7. HIKING IN THE RICEFIELDS / about 3,5 HOURS hiking fun. Hiking program near Batukaru Mountain. After lunch working session in the field. Good choice of all those who come with the whole family. 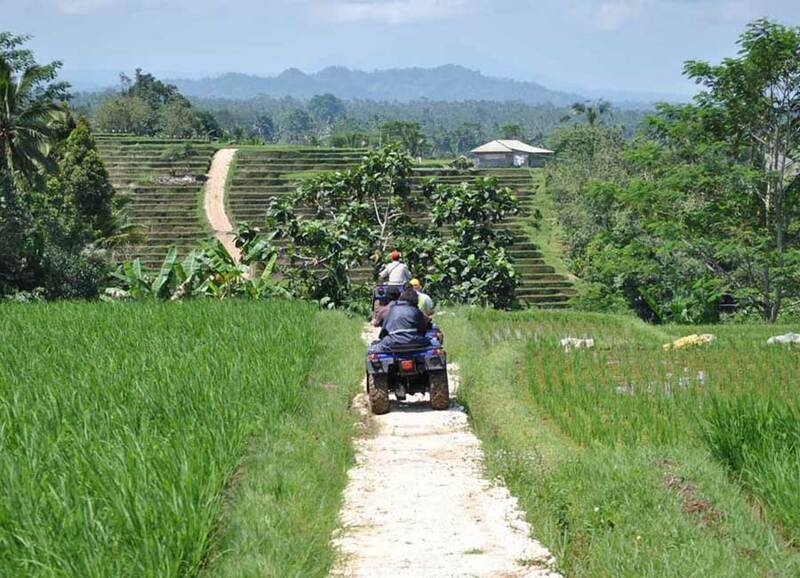 Hiking in the rice terraces, Quad tour and, after lunch, you plant rice in the field. The ideal mix for families. Hiking, Quad tour, Farmer activity and Butterfly discovery. 11. PROMENADE IN JATILUWIH/1,5 hour + FARMER WORK + BUTTERFLY PARK. Jatiluwih as never seen on secret roads. After lunch, farmer work and visit to Butterfly Park. Plough with the Buffalo, plant some rice… Share the farmer daily work ! Min 2 persons. 13. WORK WITH THE FARMER + BALI BUTTERFLY PARK. Plough with the Buffalo, plant some rice… Share the farmer daily work ! Amd see Buterfly Park. Tandem = For 2 persons. What happen when you send this form: After you send your reservation inquiry we will contact you soon as possible by mail if your requested tour or activity program is available. You will receive all details about your inquiry by mail. Please check all tour details and confirm your reservation by replying the e-mail. Please allow us up to 24 hours to proceed your inquiry and reservations.